McWay Falls is an 80 foot waterfall located an hour south of Carmel California on Pacific Coast Highway. 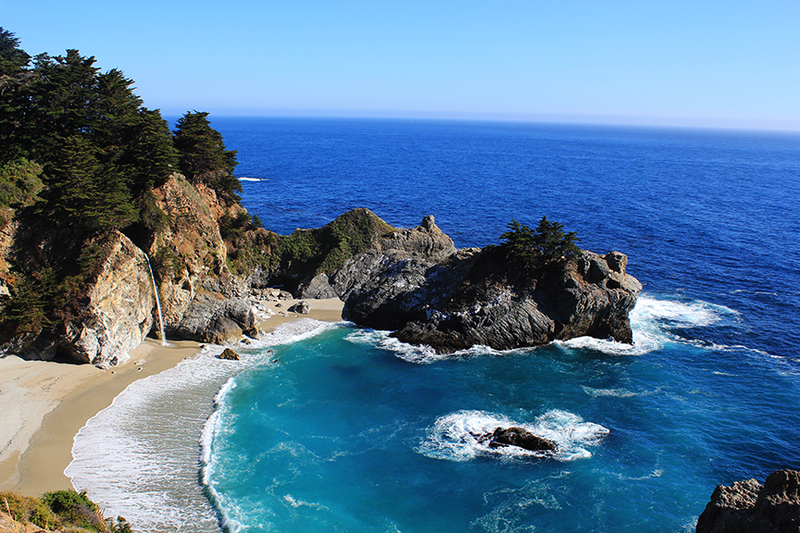 McWay Falls plummets off a cliff onto a pristine beach. 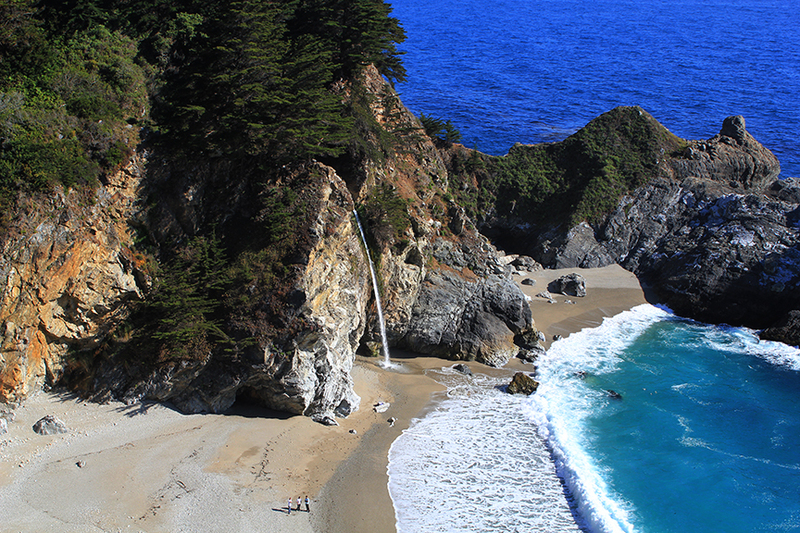 With the exception of Yosemite Falls, Mcway is the most photographed and arguably the most famous waterfall in California. The “hike” to the overlook is less than ¼ mile from the parking lot. The parking lot is almost always full, but it’s well worth the wait for a spot, so be patient. Most people use the main lot and cross under Coastal Highway on foot through the tunnel. Unfortunately, Mcway Cove is protected, so the falls can only be viewed from the overlook and not from the beach. We saw several people ticketed by the park rangers for climbing down the hill to see the waterfall. It’s a misdemeanor if they decide to prosecute you. There are several other amazing waterfalls in Big Sur near McWay Falls. 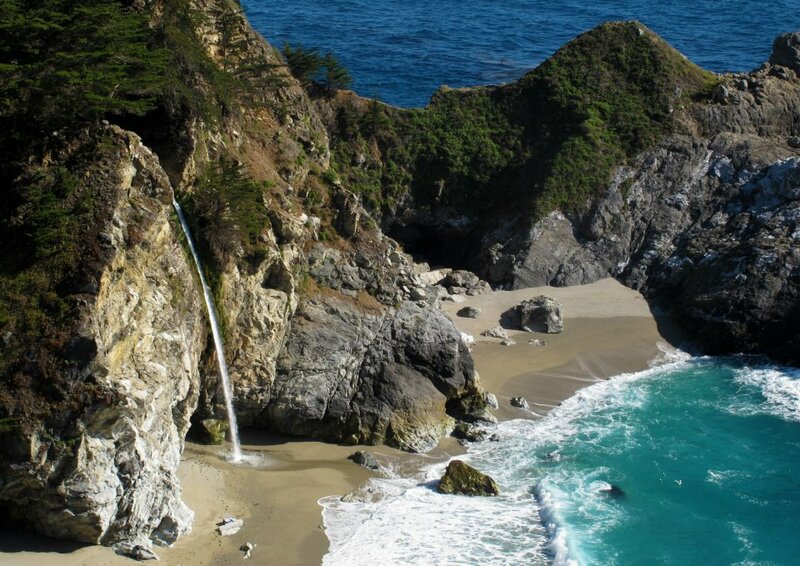 Limekiln Falls, Salmon Creek Falls and Pfeiffer Falls are 4 of my favorite hikes in Big Sur, and all of the trailheads are located along coastal highway. Most of them are short hikes, so you can map them out and see all 5 in one day.